Jean Brennan has lived in Alameda over 25 years. Before moving to the Bay Area from the Mid-west, she received her BA in History from the University of Illinois and also completed graduate work in labor and industrial relations there. 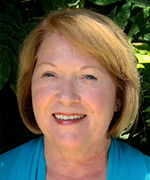 Jean’s career involved senior roles in Human Resources at PG&E in San Francisco for many years, serving as Vice President of Human Resources for the San Francisco Zoo, and her current role as a Human Resource Consultant specializing in career and executive coaching. She has been active in many local and non-profit organizations including: board positions at her children’s local schools, the Alameda Blossom Garden Children’s Hospital fundraising branch, Leadership California, Willamette University’s Parent Association, and West Coast Children’s Clinic. Jean, her husband John, and her two children have benefited from living in a community with wonderful parks and activities. She is happy to be a part of an organization that supports the continued vibrancy of our community. Tony Corica is a lifelong Alamedan who grew up in the local parks and at the golf course that bears his father’s name. He was educated through the Alameda public school system, completed his undergraduate work at UC Berkeley, and earned his master’s degree at the University of San Francisco. Tony has worked at Alameda Hospital for over 35 years. 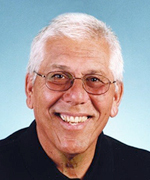 He is an active participant in many of Alameda’s community organizations and served as a two term Golf Commissioner at the Corica Golf Complex. He attributes much of his personal growth to his time at Alameda’s recreation and parks facilities. Tony is married and has two children. Anna Elefant joined the Alameda Friends of the Parks Foundation as an Advisory Council member in 2015. Prior to the foundation, Anna successfully worked for the United States Tennis Association as a manager of adult leagues for ten years. In addition, Anna served on the Alameda School Board for eight years. Anna and her family have lived in Alameda for 32 years and her three children attended Alameda Public schools as well as enjoying the many Alameda park programs while growing up. 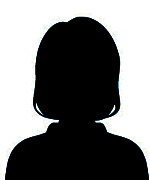 She is an active member of our foundation and offers excellent organizational skills in the area of events. 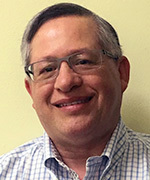 David Mercado has been an Alameda Friends of the Parks board member since 2017. David is a senior management analyst for the East Bay Municipal Utilities District Budget Office in Oakland, CA. Prior to joining EBMUD; he worked for the Port of San Francisco, the New York City Division of Real Property, and the New Your City Department of Sanitation. David has lived in Alameda for over twenty-five years and has held board positions with the Alameda Housing Authority, Girls Inc. of the Island City, the Alameda Development Corporation, and a NYC non-profit that constructed a mixed-use residential and commercial building in NYC’s Chinatown. David has spent many hours in Alameda parks with his two children over the years and has gained a meaningful appreciation for what they provide to the local community. He received his Bachelors of Arts in Psychology from Dartmouth College and a M.P.A. from Princeton University. David resides in Alameda with his wife, and has two adult children who grew up and attended school in Alameda. 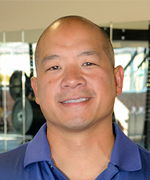 Ken Miller is the owner of Training Station, an Alameda based personal training and performance facility. 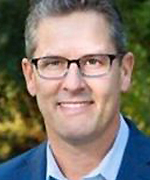 In addition to executing exercise and conditioning programs for athletes in the San Francisco Bay Area, Ken is a Master Instructor for the National Academy of Sports Medicine and serves as an Advisory Board Member to Trigger Point. When not at the Training Station, Ken is working with the National Pitching Association as a Biomechanist and Movement Specialist and also as a Practitioner with Movement Edge Elite, both working with athletes ranging from baseball to golf. Ken lives in Alameda with his wife and two children, enjoying the various parks and playgrounds the city offers. Joe Restagno is a lifelong Alameda resident who spent endless hours at Godfrey Park on Bay Farm Island, as a child. As a college student, he worked as a Recreation and Parks leader for ARPD, which he enjoyed and benefited from. It was this engagement with the parks in Alameda that motivated him to join the Friends of the Parks Foundation. 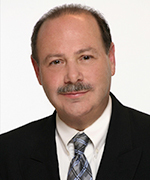 Joe has had a successful career in financial services, most recently with Silicon Valley Bank. 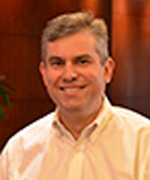 He works with emerging growth technology companies and assists in their growth and success. He enjoys spending time with his family, especially his three children. One of his most rewarding activities is coaching their youth sports teams. 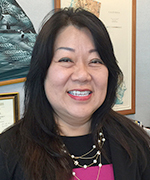 Lena Tam joined the Friends of the Park Foundation Board in January 2015. She served as an Alameda City Councilmember for eight years and was elected Vice-Mayor in 2006. Lena has been instrumental in funding recreation, parks and open space in Alameda during her tenure on the Council. She collaborated with the Alameda Boys & Girls Club to provide after school programs for the youth. 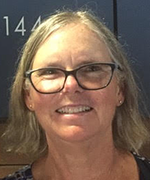 She advanced the renovation of the Encinal Pool and secured $2M in dedicated funding for the 22-acre Jean Sweeney Open Space Park. Lena was also a founding board member of the City of Alameda Health Care District Board of Directors, and served on the Board of Save the Bay. She is currently the Manager of Water Resource Planning with the East Bay Municipal Utility District. Phong La joined the Alameda Friends of the Parks Foundation as an Advisory Council member in 2017. He grew up in the East Bay and loves the outdoors. Phong has served on numerous local nonprofit boards and involved with many nonprofit organizations in differing capacities. 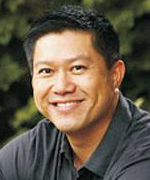 Phong obtained his Bachelor of Science Degree from the University of California, Davis and his Juris Doctor from the University of California, Hastings College of the Law. Phong was born in Cam Ranh, Vietnam. His family escaped Vietnam and arrived in America when he was two years old. In his spare time, Phong enjoys fishing, camping, and hiking. He is a fifth generation fisherman and the first generation in his family not to do it for a living, which is a blessing because he would starve if he did. Phong believes in preserving open space and providing programs for youth and seniors. Phong lives in Alameda with his wife and daughter, enjoying the various parks and playgrounds. Mario Mariani is a native of Alameda, and comes from a long line of family members who have called Alameda their home. Both of his parents and grandparents lived here. Mario was a popular and successful athlete growing up here and was the first Alameda resident to become a professional NFL football player. He has always been an active part of Alameda youth sports and has spent endless hours supporting programs that benefit schools and children. He is the co-chairman of the annual Encinal High School Golf Tournament and Fundraiser, and led the effort to resurface the Leydecker Park basketball court (now named Curry Court) with the involvement and support of the Golden State Warriors and Under Armour Inc.
Mario joined the Alameda Friends of the Parks Foundation in 2014.